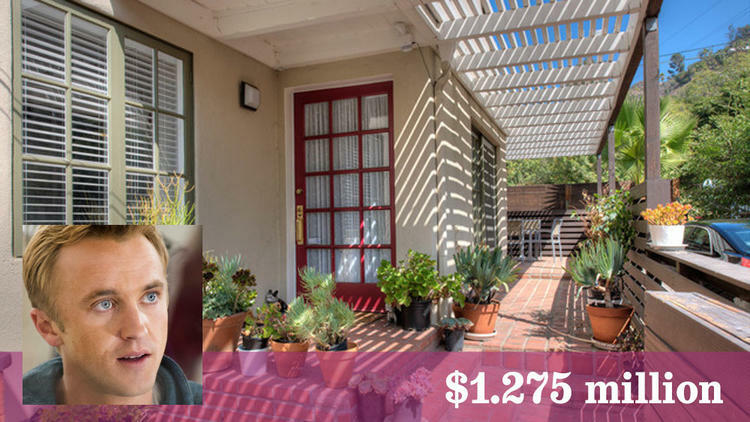 Tom Felton, who played Draco Malfoy in the “Harry Potter” films, has joined the ranks of Hollywood Hills West homeowners with the purchase of a contemporary house for $1.275 million. The single-story home has an open floor plan, living room and master bedroom fireplaces, a den with built-ins, two bedrooms, two bathrooms and 1,732 square feet of living space. Walls of glass open to a covered patio, outdoor living room and a poolside deck. 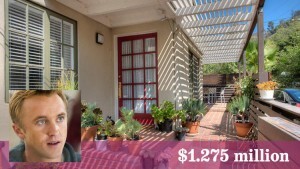 The backyard of the 6,163-square-foot lot contains a swimming pool and a guesthouse/studio with a kitchen and bathroom. The property previously sold in 2010 for $760,000. Joann Dresner of Keller Williams was the listing agent. Eli Karon of Tele Properties represented Felton.